As manufacturing and engineering companies continue to compete in markets that demand the highest possible efficiency and accuracy, as well as the fastest delivery, there is often difficulty in maintaining the quality to speed balance, resulting in a backlog of orders during the inspection process. 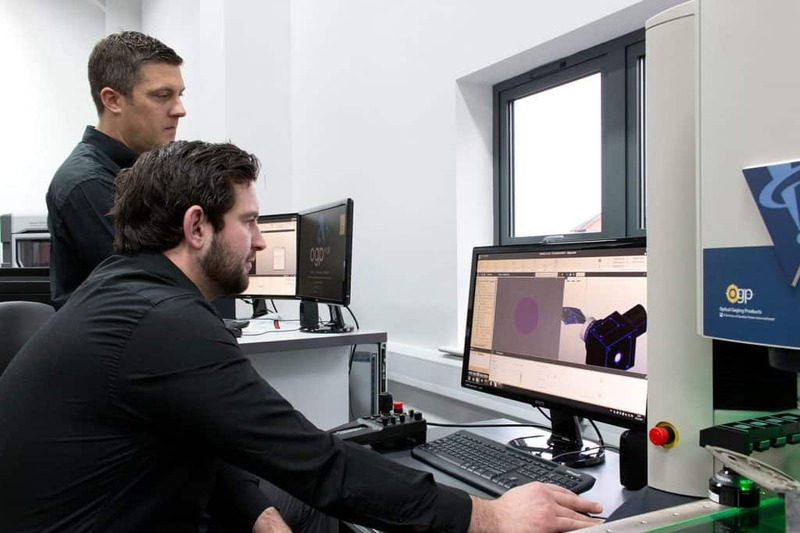 This backlog, often called the bottleneck effect, is due to inefficient CMM inspection equipment alongside insufficient machine and software training, leading to reduced throughput and often halting production altogether. From the moment you first contact OGP UK we will work with you to improve your data collection and part verification process as fast as possible. With roots dating back to 1945, OGP have been developing advanced multi-sensor metrology solutions and supplying them to the UK for over 25 years. Offering successful turn-key solutions, our hardware and intuitive interfaces offer customisable and adaptable measurement options to suit your manufacturing routine through a wide range of sensors and advanced software packages to process the data. Not only that, we also offer rapid machine implementation- so that no matter how far into production you are we can help to improve your throughput and accuracy both now and in future projects. You can rest assured that your team will receive the highest-standard comprehensive machine and software training available from OGP UK. Carried out by our qualified expert engineering team, who dedicate their time and services to ensure the highest customer satisfaction. We hold ISO9001:2008 accreditation, and that means we take attention to detail very seriously so you can be sure that all of the inspections you conduct with OGP solutions are of the highest possible standard. Avoid staff pressure due to inexperienced, untrained operators and complex metrology systems. With building pressures on engineering staff due to bottlenecks, it is inevitable that errors will occur causing problems further down the production line. Our technology is fast, our training is thorough and we offer an ongoing service that is second-to-none. The biggest advantage that any engineering company can offer their customers is flexibility to accommodate a wide range of projects. Without the equipment to cater to various order sizes, flexibility is limited and great pressure will rest on your team. The temptation to expand both infrastructure and staff is prominent in situations like these, but this may not always be the solution for businesses with such a problem. With an efficient piece of CMM equipment from OGP UK you can hit all of your targets. Our CMM machines offer maximum versatility and flexibility by allowing you to combine any form of measurement sensors on our multi-sensor systems, providing you with a more thorough, accurate and faster inspection routine. Work with OGP and your obligations will become our priority, pushing your data collection methods into the future and always ensuring that your measurement capability remains efficient and cost-effective for projects of all sizes. See more: Discover the Basics of Multi-Sensor Metrology. 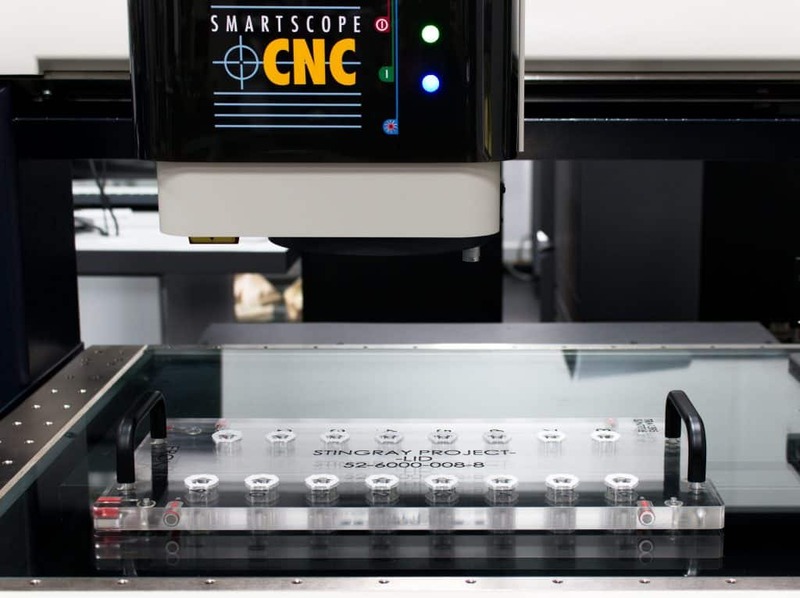 The two reasons that bottlenecks are present within your inspection routine is usually down to a lack of CMM equipment and/or qualified operators. Not only do we offer state-of-the-art training, multi-sensor equipment and intuitive software, but we also provide ongoing service packages that ensure your measurement processes continue to be optimal both now and in the future. See more: 5 Reasons for multi-sensor metrology. Eliminate bottlenecks in your quality processes today.